I’ve written over 100 of these Feel Good Friday posts and, with the exception of the AAA Tipsy Tow New Year’s Eve reminder, I haven’t had to repeat myself. Why? There are thousands of groups doing work to make the world a better place and it will be a long time before I run out of organizations to profile. However, I'm repeating myself today because people keep shooting each other! 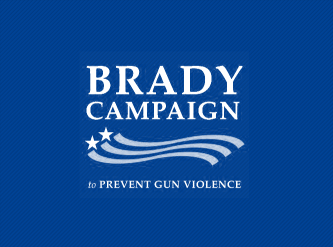 On October 9, 2015 I featured the Brady Campaign to Prevent Gun Violence. Despite all their efforts, gun violence in the US is still a problem so I’m posting this story again in hopes we can all find a way to get involved. In the almost 3 years I've been writing these Feel Good Friday posts, there have been a number of mass shootings in the United States, including the most recent at Umpqua Community College in Oregon. So today we're going to focus on an organization with the goal of "cutting gun deaths in half by 2025", Brady Campaign to Prevent Gun Violence. You may remember Jim Brady, Assistant to the President. He was shot and paralyzed during an assassination attempt on Ronald Regan in 1981. It wasn't until 1993, the Brady Bill, which required a five-day waiting period and background checks on handgun purchases, was signed into law by President Clinton. Every day, an additional 208 people are shot and survive. In order to reduce these numbers, the Brady Campaign focuses on policy and legal changes, as well as a public awareness campaign. They ensure that all of their programs and efforts have an opportunity for impact, that no one else is doing similar work and that the actions fit into their core values. You can read their full list of solutions here or watch a 16 minute video Pathology of Gun Violence, which explains their strategy in great detail. Support the work of the Brady Campaign to Prevent Gun Violence by visiting their take action page, liking their Facebook page and following them on Twitter @Bradybuzz. Enough is enough.